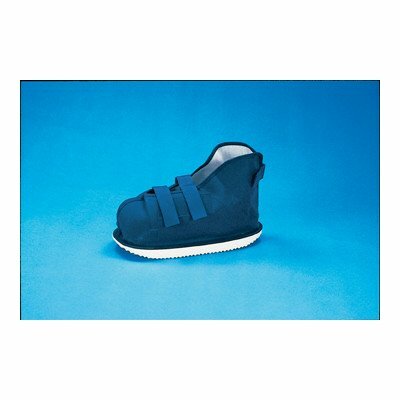 UTL-1119 Features: -Closed toe cast boot. -Material: Canvas. -Helps provide protection for a walking cast. -Adjustable hook and loop closures for a better fit. Product Type: -Ankle/Foot. Generic Dimensions: -2.5'' H x 6'' W. Dimensions: Overall Height - Top to Bottom: -2.5 Inches. Overall Width - Side to Side: -6 Inches.